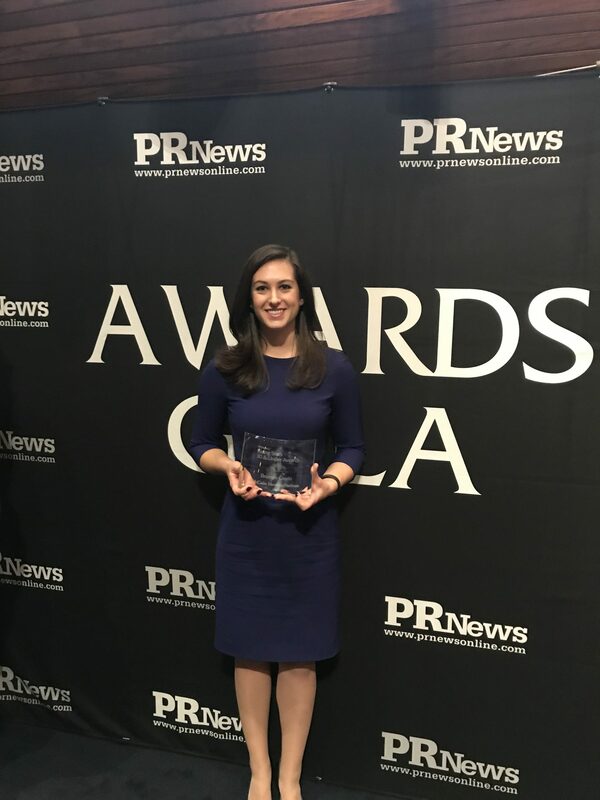 McCabe Message Partners is proud to announce that Senior Director Brianna Gavio was named one of PR News’ Rising PR Stars today. Whether planning and executing a communications campaign, press briefing or multi-day conference, Bri marries strong project management skills with a clear understanding of the issues affecting America’s health and healthcare system. She currently advises a diverse array of clients including the Robert Wood Johnson Foundation, the American Academy of Dermatology, and the Campaign for Tobacco Free Kids. Brianna Gavio joined the team as an intern in 2010, and has rapidly emerged as a go-to account leader, an agency leader, and an inspiration to her colleagues.